Guys out Jackson's MMA with 7-1 and 3-0 records, George Sotiropolous' training partner, world titles on the line, Diego Sanchez in a fighter's corner. 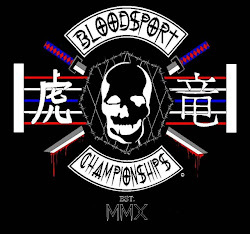 Bloodsport Championships delivered on not just an entertaining night of fights but also bringing bringing high, high level competition to El Paso. For the Main Event, Willie Parks took on Jorge Ortiz and though at 16-6, Ortiz had a huge advantage in experience, it didn't matter once Parks closed the distance and grabbed ahold of him. Parks was by far the better wrestler and though the standing exchanges were pretty even, most of the fight was contested on the ground with Parks on top dropping elbows and punches. Parks moves to 4-0 and with a guy like Diego Sanchez behind him, he could do big things in MMA. Also on the MMA portion of the evening, Matt Leyva took on Joe Gustina. Both had already fought with Gustina coming out the winner. This match played out similarly. Gustina came out with leg kicks, running around, and bouncing on the ropes WWE style. Leyva came out focused and intent on winning and though at some point he nearly sunk in an anaconda choke, and after trading several submission attempts, Gustina walked away via a deep arm bar that according to Leyva, made his arm "pop four times." 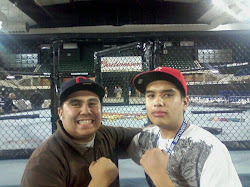 In the first MMA fight of the night, Jackson and Mean1MMA's Conrad Padilla took on ACE Fight Team's James Gabriel. Padilla came out with what would be the night's most dominant performance. Immediately after the fight started, Padilla got a takedown, transitioned to side control, dropped some elbows, put Gabriel in a crucifix, dropped some more elbows, took Gabriel's back, flattened him out and finished him with some punches to the chin and side of the head. Padilla debuted professionally and looked food doing it. He moves to 1-0 and hopefully we see fight around here some time. The event was awesome, the Jackson's guys were super nice, Diego Sanchez was pretty cool, and with everything the event had going on, I hope to see another Bloodsport Championships event in the near future.